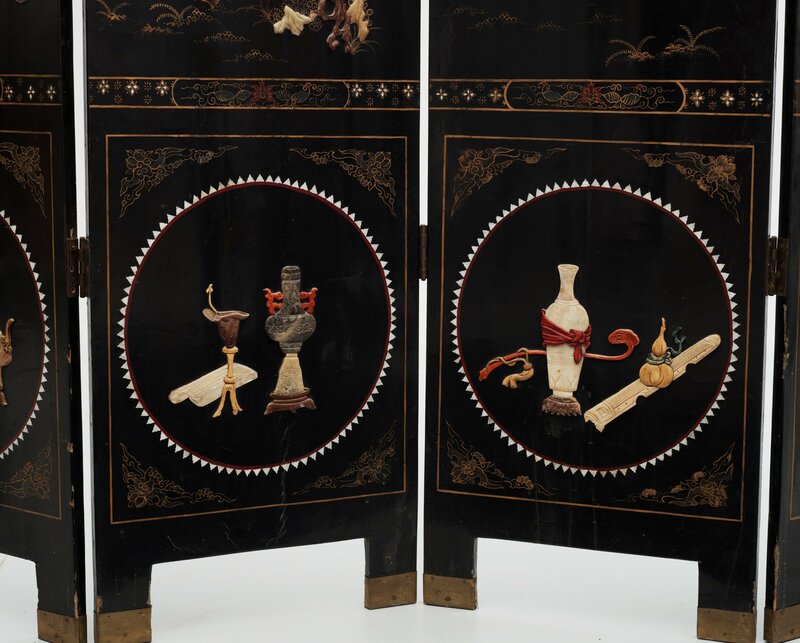 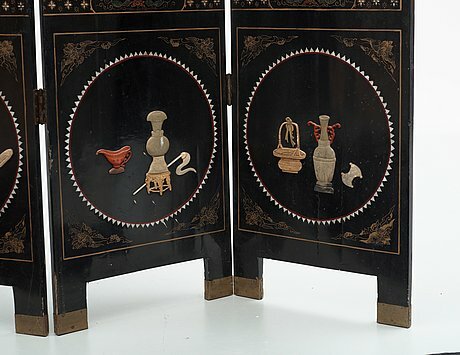 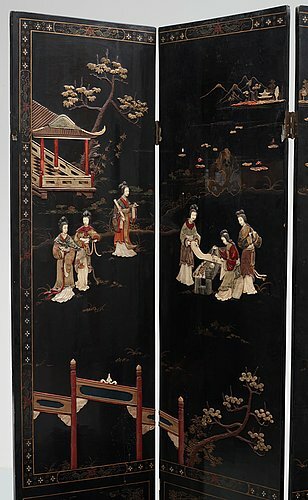 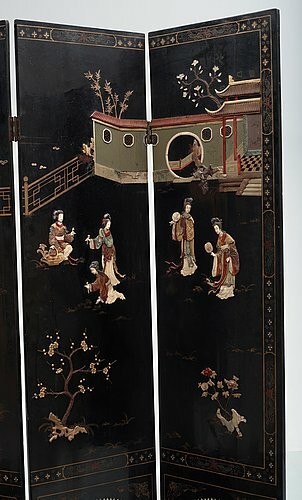 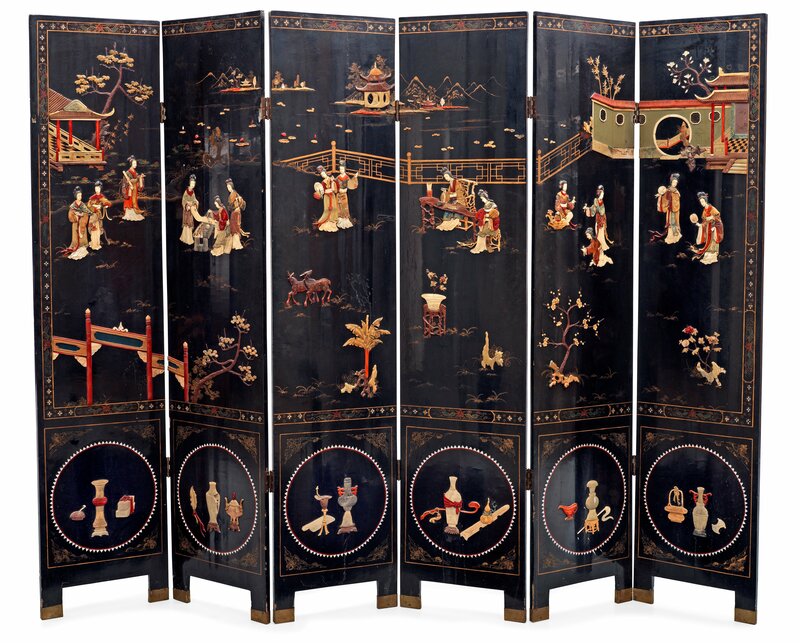 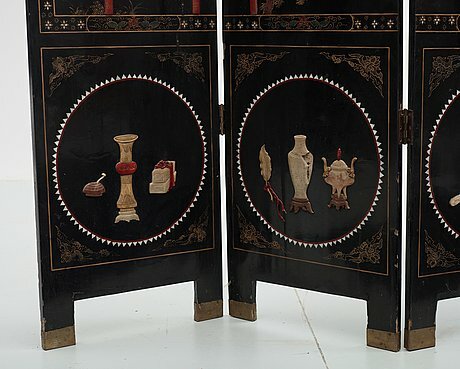 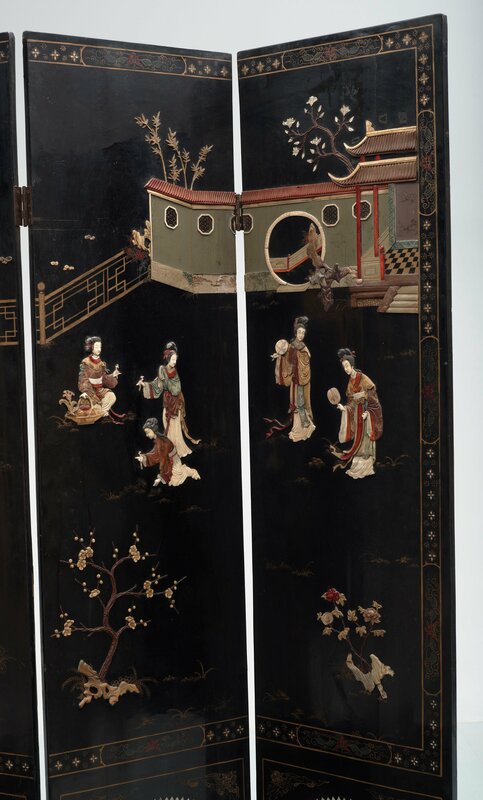 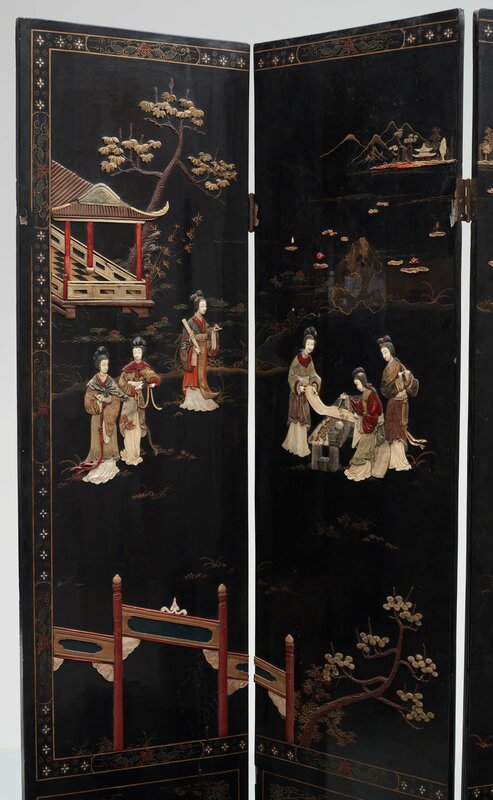 A chinese black lacquer six-panel screen, early 20th Century, with figures in gardens, inlays of carved mother of pearl, coloured bone, tree, and different stones. 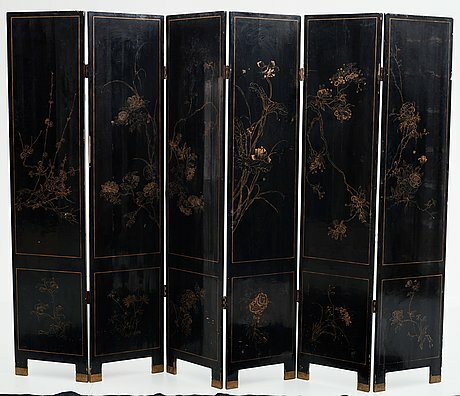 Back of panels with flowers painted in gold. Defects, loss of inlayed carved pieces, loss of laqcuer.